Pneumonia, bronchitis, pharyngitis, tonsillitis, sinusitis, otitis media, Skin and soft tissue infections, urinary tract infections including pyelonephritis and cystitis. 250 mg every eight hours. Children : 20 mg/kg/day in divided doses every 8 hours. 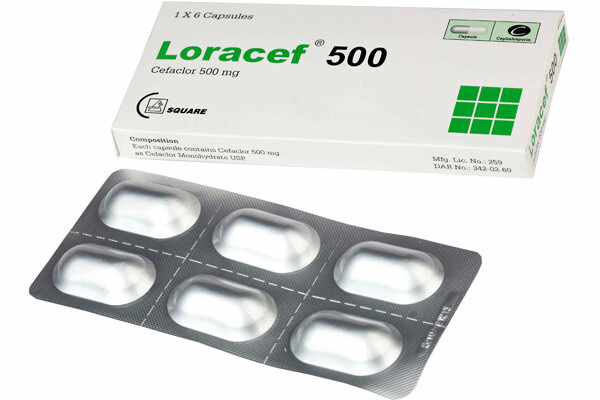 Loracef ® 500 capsule: Box containing 1x6's capsules in Alu-Alu blister pack. 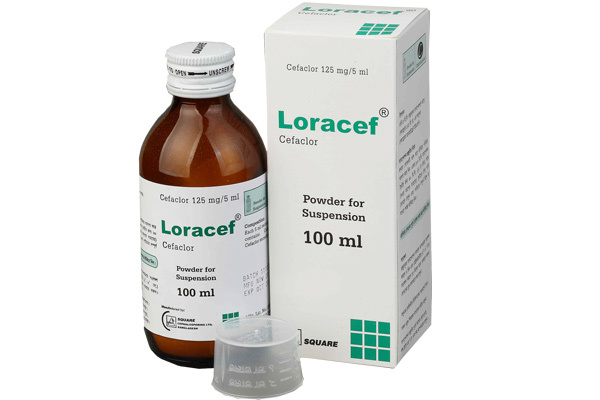 Loracef ® suspension: Bottle containing dry powder to make 100 ml suspension and a measuring cup. 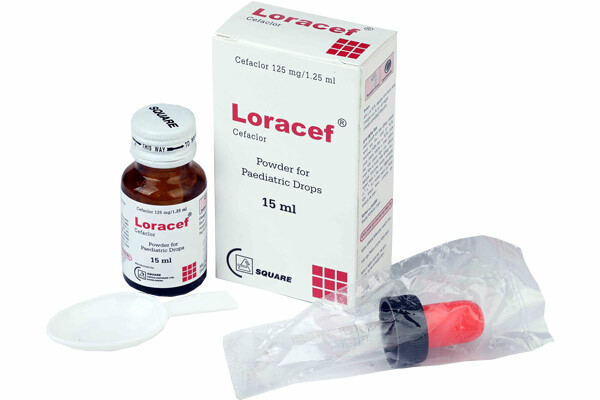 Loracef ® paediatric drops: Bottle containing dry powder to make 15 ml pediatric drops, a dropper and a spoon.